Alberta Hunter was born in Memphis, Tennessee, but left for Chicago, Illinois at age 11 after her father died. She peeled potatoes in a boarding house until she could find a job singing blues, the first opportunity was at a Chicago brothel, as entertainment for the prostitutes and their clients. Hunter was always sure to send part of her money back to Memphis to support her mother. Hunter gradually worked her way up to Chicago’s prestigious Dreamland Café, singing for King Oliver’s Band for five years. It was at the Dreamland where Hunter was first discovered by talent scouts for Paramount Records in July 1922. She later recorded for Black Swan, Okeh, and Victor where she established herself as an extraordinary singer and songwriter. By the end of the 1920s Hunter began to expand her career beyond singing blues to appear in jazz settings and musicals. She performed in the London, UK production of Showboat opposite Paul Robeson, playing the part of Queenie. Her performance marked the first time the character was played by an African American woman. Eventually, Hunter became a major cabaret star in Europe and back in the United States and gradually moved away from singing blues. After the death of her mother in 1954, Hunter retired from performing and enrolled in a practical nursing program at Goldwater Memorial Hospital in New York City, New York. She was forced to lie about her age to be able to enter the school since the age limit was almost 10 years younger than she was at the time and she also had to fabricate evidence of a high school diploma. For the next 21 years after her graduation from nursing school Hunter worked as a nurse, a profession that she loved. In 1977 Hunter’s career revived. She recorded a new album, Amtrak Blues, performed before President Jimmy Carter at the White House, and went on a worldwide tour. Still a dynamic and versatile stage performer, Hunter soon became nearly as sought after as she had been at the height of her singing career in the 1920s. She continued to work until shortly before her death in 1984. Alberta Hunter was a key link between the country-based and melodic female blues of the early 1920s and the vaudeville scene which had a much wider audience. 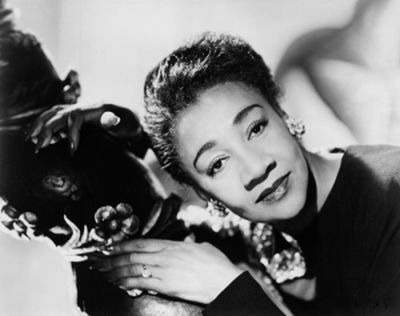 She was also the first of a number of female artists who would find success singing the blues.